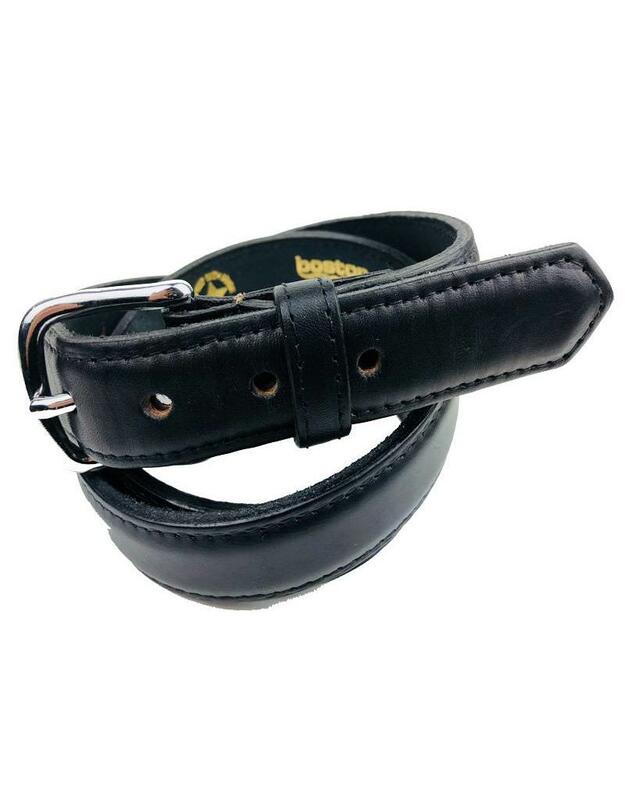 Boston Leather All Leather Dress belt is exceptional. 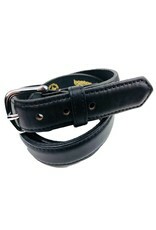 Made here in the USA, this belt is three pieces of leather all sewn together. 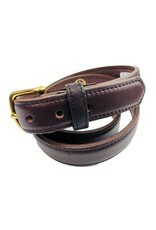 It is full grain drummed dyed leather, feather edge, stitched, not glued. 1 1/4 inches. Has a solid brass buckle. 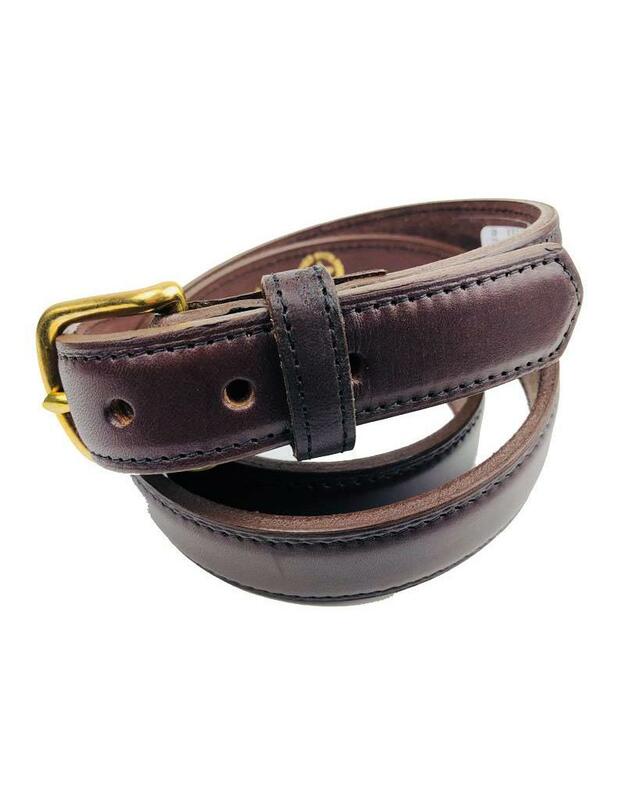 Available in Black and Dark Brown.